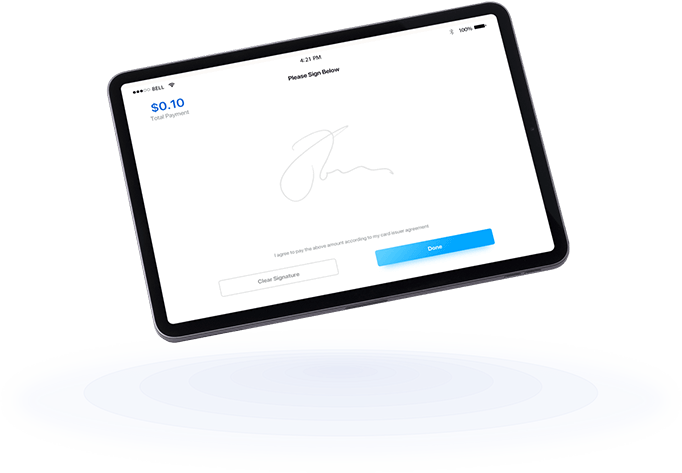 Enable your business to accept all major credit cards by using our card reader that wirelessly connects to your tablet or smartphone. 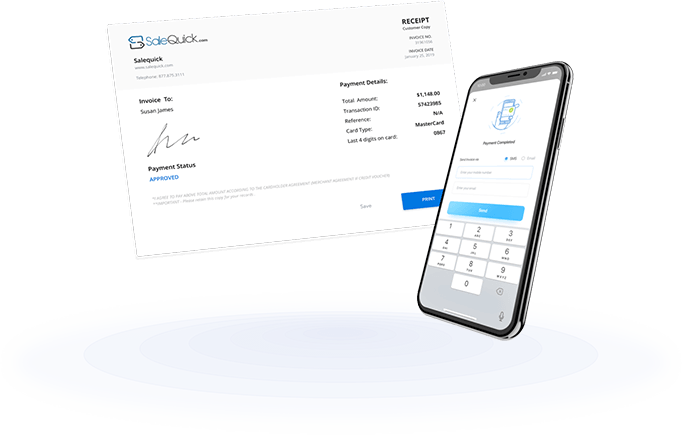 There’s no need to hold on to all those signed receipts, because SaleQuick stores all the transaction information so you don't have to. 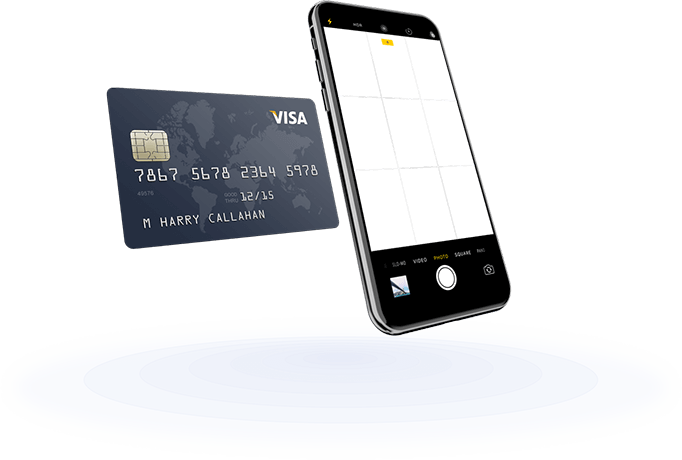 Enables your business to accept payments anywhere, by using our wireless card reader or our smartcam feature that allows the camera of your smartphone to be the card reader. Customers can receive a digital receipt through text or email. We only need their information once and we will save it for their next visit. 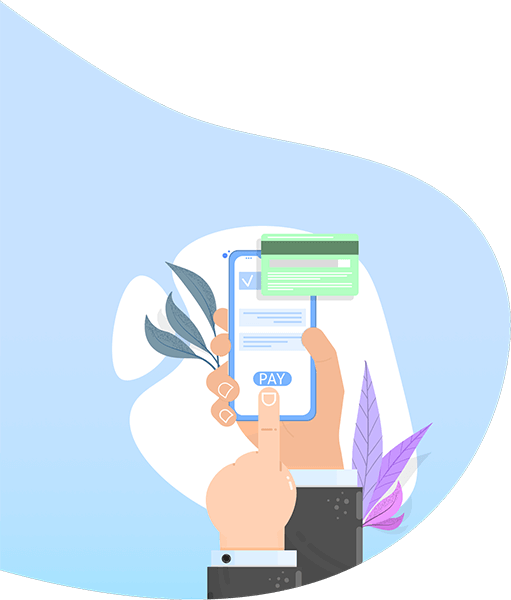 Receipts are customizable to make sure your customers know it’s your business they’re paying.